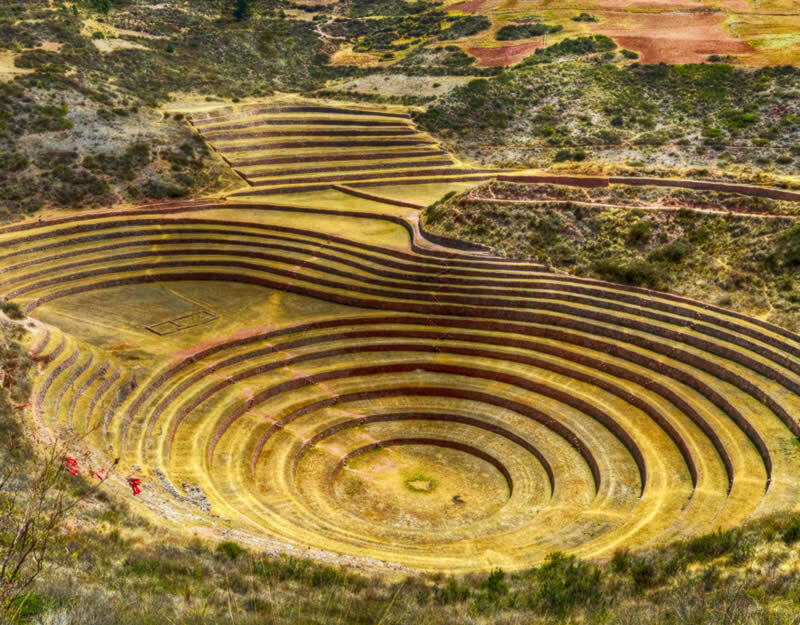 Visit ruins of Chinchero, agricultural laboratory of Moray and salt mines in Maras. This tour allows you to explore the villages of Chinchero, Moray and Maras in a different way. 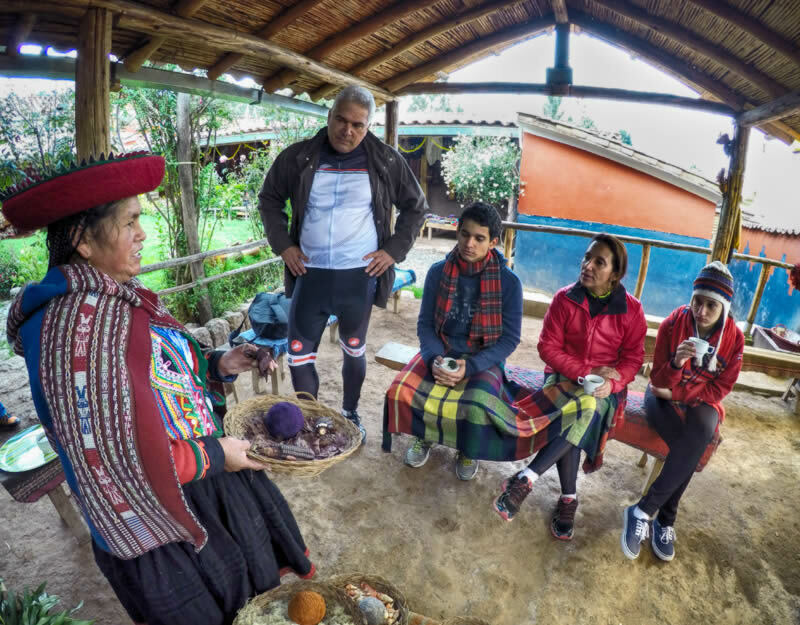 This is a personalized/private tour, with which you will be able to visit impressive ruins, platforms and textiles of Chinchero - and if you are planning to take a tour on Sunday you will enjoy the traditional market. Then we meet local people, and afterwards we will take a small bike tour towards the agricultural laboratory of Moray - circular terraces. 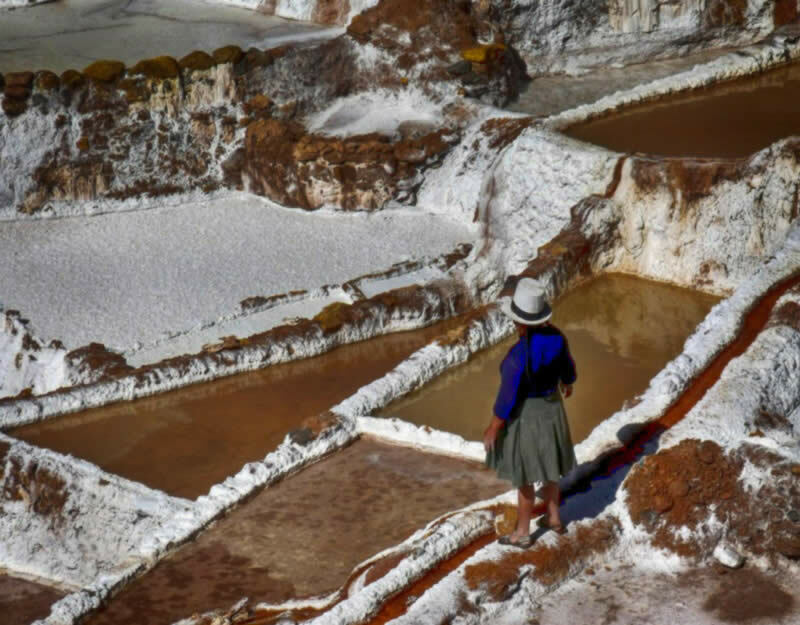 Finally, we will visit famous salt mines in the town of Maras. It is worth to mention that all this tour is made with a private transportation, which means there is no preassure or strict timetable. 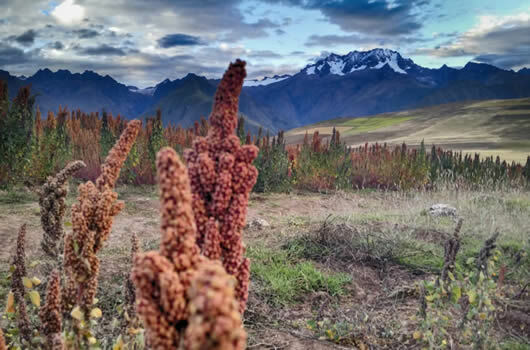 The beauty of the landscapes through this route is indescribable - snowy mountains, colorful fields, cultivated with potatoes, beans, quinoa and other. In addition, enjoy the pure air of the Peruvian Andes. This tour combines history, tradition, hiking, cycling and beautiful scenery for a full day. There is no better place in Cusco region to enjoy a quiet walk in the surrounding of fields, agricultural plantations and beautiful landscapes. 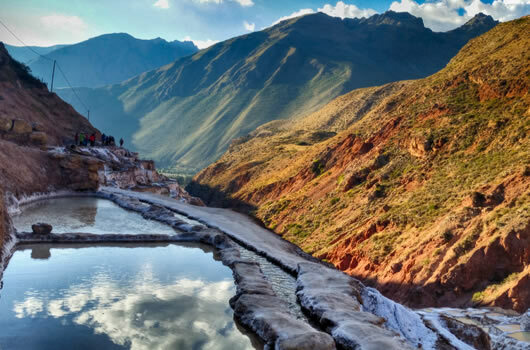 As well, to be able to visit so many tourist attractions like agricultural laboratory Moray, famous ruins and textiles Chinchero and the pools of salt in the Maras. The CHIMOMA tourstarts very early with the gathering of the passengers in their respective hotels, approximately between 6:30 to 7 a.m.
Our first destination is the town of Chinchero where we visit the ruins Yy Inca, the picturesque colonial church and then we will have an interesting session in a workshop of textile crafts while enjoying a delicious mate muña. Después iremos en nuestro Private transport will take us to a particular place and time(depending on weather and other factors) where we will start the bike ride (bikes are equiped with double suspension). This tour will go towards Moray and landscapes on the way are just breathtaking .. Here we will spend some time to discover the true history of the Incas laboratories. Then we will go to the small town of Maras, where we can enjoy the famous chicha - the most famous drink in the Peruvian Andes: corn beer, prepared naturally. As the last part of the tour Chimoma we visit one of the most beautiful and incredible salt mines in South America. You can walk and touch around 5,000 ponds and learn more about the salt production. It is noteworthy that the salt of the place occurs here in the same way, from the time of the Incas. This tour takes a full day, so we will return around 6 to 7 pm the city of Cusco. Inca Jungle Tour. Adventure tour combine biking, rafting, zipline. Salkantay trekking. Best trekking with Machu Picchu as a destination. Quadbike. Enjoy beautiful landscapes mountains, lakes and snowpeaks. Machu Picchu 1 day. Don't have too much time visit it in one day. Machu Picchu 2 days. More time for enjoying Machu Picchu. Choquequirao trek. Wonderful trek during 4, 5, 7 or 9 days. Salkantay Trekking: one of 25 best walking tours in South America. The tour is done with a minimum of 2 participants and a maximum of 8 people. Scheduled departures prior reservation. If you don't receive a reply within 48 hours, please resend us your email.